Tightly rolled leaves which produce a unique aroma and a fresh, smooth flavour. I agree wholeheartedly with Anne and Jackie. I have been drinking loose leaf Keemun for 40 years and it has become increasingly hard to find. Supermarkets are instead selecting to stock over perfumed gimmicky teas. 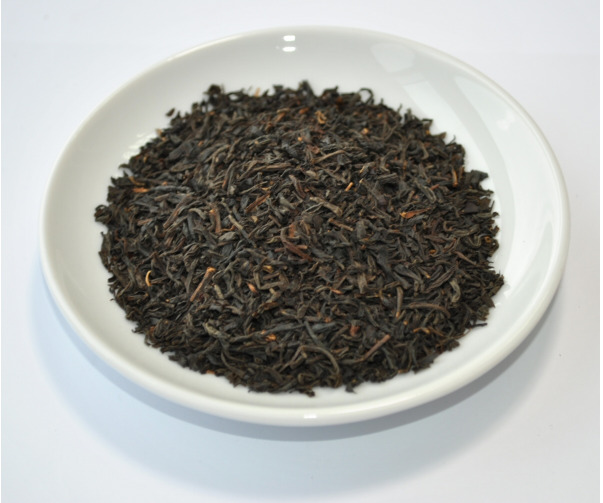 Thank goodness for Drury's, their loose leaf Keemun is utterly sublime and yet most people have never heard of it. Long live tea drinking. I have been buying 6kilos of this tea every year since 2009, I live in fear Drury will stop selling it. The supermarkets have almost stopped selling anything but blended teas and awful sounding made up fruit teas which taste artificial. I like the way this tea stays for ages in the pot without spoiling, in the morning we drink at least four cups each over the course of an hour and, in the teapot I have with a built in infuser, the last cup tastes stronger but not stewed. I have been drinking Keemun tea for years, though it has only been available in specialist outlets until relatively recently. Drury has the > best Keemun I have ever tasted. Never from the hot tap or pre-boiled water. Bring the kettle to the boil. Warm the tea pot before brewing. Extraction of flavour from the tea leaves becomes more rapid when a good constant temperature is maintained. Use fresh good quality loose leaf teas. Tea bags can also be used in a pot. You can use finely cut leaf blended teas or for the more adventurous a larger leaf speciality tea for a more unique subtle flavour. Allow tea to brew for 3-5 Minutes. Brewing time changes depending on leaf size and type of tea being brewed. 3–5 Minutes is optimal for most teas (2-3 Minutes for most green teas). Over this time and Tannins will be released giving your brew and bitter flavour. Stir the tea in the pot once or twice while it is brewing. You can produce a superior flavour even by using tea bags in a pot. A 2–3 cup size tea bag would be the best to use for a small pot. Brewing time then would be recommended to 3–5 Minutes. It is recommended to have a tea pot that uses an internal strainer. In this way you can remove the leaves easily from the tea from your brew to stop stewing.